Your Dream Home Awaits…Beautiful Open Houses for your viewing this Sunday! Open House Sunday, October 23rd from 1-4pm! Historic Bainbridge with Modern design, this Heritage property is set in a picturesque 100 year old neighborhood. This classic 1905 farmhouse is basically a new home but reminiscent of the past with original fir floors & wood ceilings. The new kitchen boasts beautiful cabinetry, farm sink & hi-end appliances. Wood floors throughout, Carrera marble baths, Rejuvenation lighting, 700 sq ft+ Ipe deck, landscaped and irrigated for low maintenance. A little gem, lovingly restored and updated. Open House Sunday, Jan. 10th from 2-4pm! Open House Saturday, January 9th from 1-4pm! 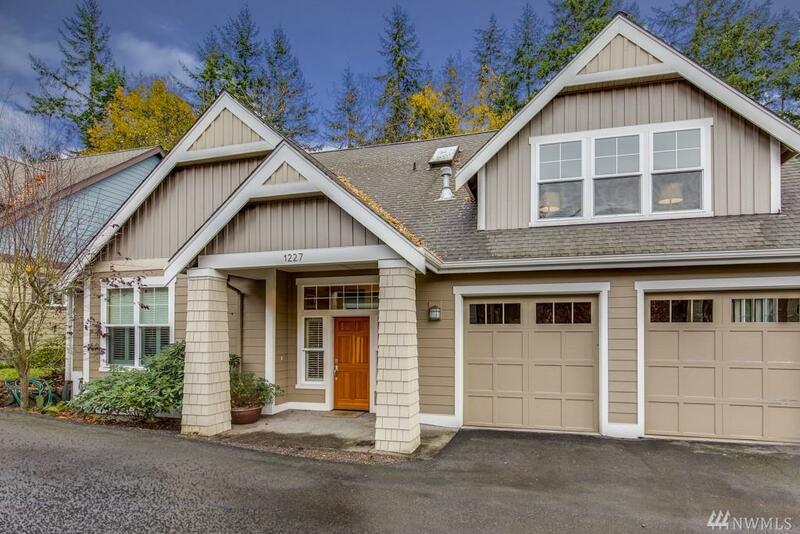 This beautiful two-story Craftsman home is conveniently located just a few blocks from Old Town Poulsbo, placing you near the quaint marina boardwalk, specialty shops, and a variety of restaurants. The expansive livingroom features a gas fireplace, and the maple floors in the kitchen shine. The lovely home’s second level includes two bedrooms and a bonus room, which could be perfect for media or your hobbies! Beautifully private setting next to park. Join Edward Buckley, owner of Buckley & Buckley Real Estate on Sunday, November 22nd from 1-4pm for a peek at this newly listed, three bedroom stand-alone condominium. floor. A third bedroom/study/media room with its own bath is on the main floor. Two large private decks open onto quiet, outdoor living spaces. No steps to the attached private two car garage, plus an adjacent guest space provides ample parking and storage. fireplaces add custom touches. A 2012 remodel on the lower level created a beautiful guest suite or bonus room with French doors to the yard. Whole house generator. Move in and enjoy! This Weekend’s Open Houses! November 1st, 1-4pm! create your own private bird sanctuary. view of Puget Sound. Spacious daylight basement with bath & laundry, great for guests! Steps to Manitou Beach with gorgeous views of Seattle & beyond. Close to schools & ferry. Lovely spacious east-facing condo with water view. Light laminate wood floor brightens entry, living, and kitchen area. Stainless steel appliances, slab granite counter tops, kitchen opens into dining and living area. A separate niche for office. Just steps to downtown shopping, Ferry, and the best Bainbridge has to offer. Amenities include exercise room, club house with media room, conference room, guest suite, lounge, pool table, and kitchen. A spacious 4 bedroom home on a private 1.2 acre corner lot in a convenient location! Landscaped garden with pond & waterfall. 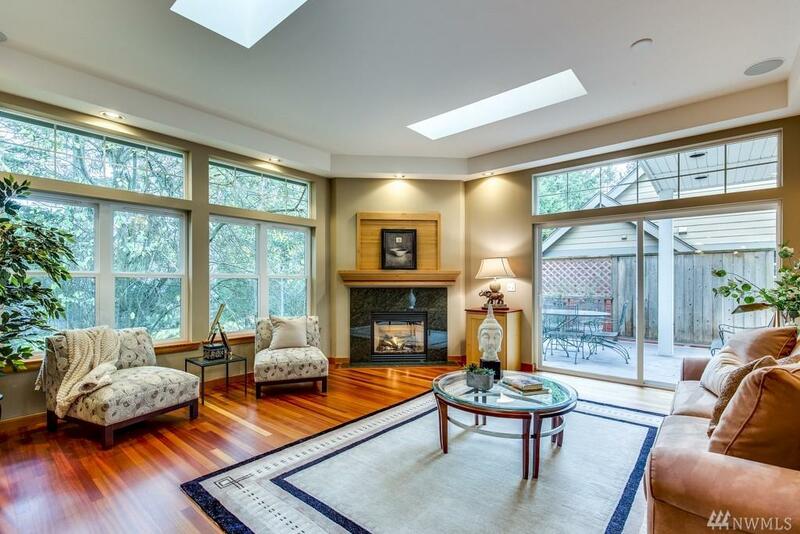 12 ft ceilings & plenty of windows and skylights allow sunlight all year long. Kitchen to great room concept with gorgeous wood floors. Master suite w/private deck & refreshment bar. Built-ins & 3 fireplaces add custom touches. 2012 remodel on lower level create a beautiful guest suite or bonus room with French doors to the yard. Whole house generator. Move in and enjoy! This Sunday, don’t miss these two wonderful Island homes. Both are open from 1pm to 4pm– spend this Sunday finding the home you love. View from 8500 Gordon Drive NE's livingroom. We think you’ll find there’s a lot to love about living the Island life. REMEMBER: OPEN HOUSES SUNDAY! 1-4PM! Open Houses on Sunday, August 30th! 1-4pm! 7604 Meadowmeer Lane NE and 8500 NE Gordon Drive!